Deputies in St. Lucie County responded to a report of a suspicious package Wednesday and found a large amount of cocaine. 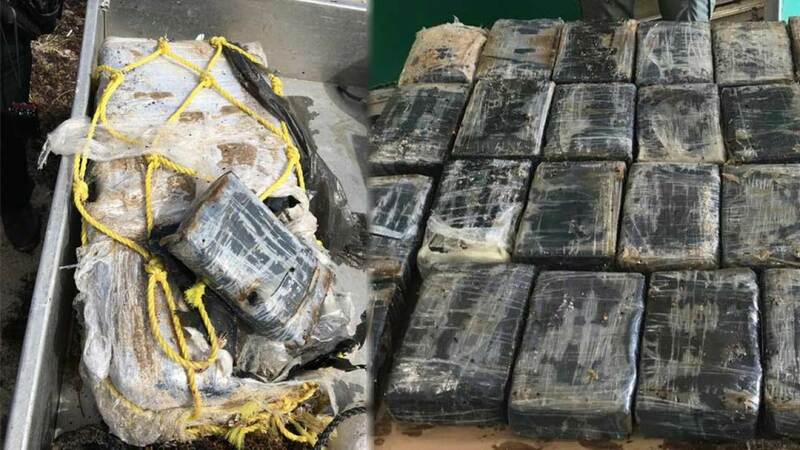 ST. LUCIE COUNTY, Fla. — Deputies in St. Lucie County responded to a report of a suspicious package Wednesday and found a large amount of cocaine. In a Facebook post, the sheriff's office said they responded to the Fort Pierce Inlet State Park on North A1A for a package floating in the water. When they arrived, deputies found 57 pounds of cocaine wrapped in plastic and rope. In similar cases where cocaine or marijuana is found on the water, law enforcement agencies often transfer the illegal narcotics to federal authorities.